In 1883 a 24 year old hunter searched for more than a week hoping to find one of North America’s last free ranging buffalo. Finally, just inside the Montana Territorial border, on Little Cannonball Creek, he found and shot a lone wandering bull. In his excitement he did a war dance around the fallen bull and tipped his guide $100. Eighteen years later that hunter would be President of the United States – it was Theodore Roosevelt. 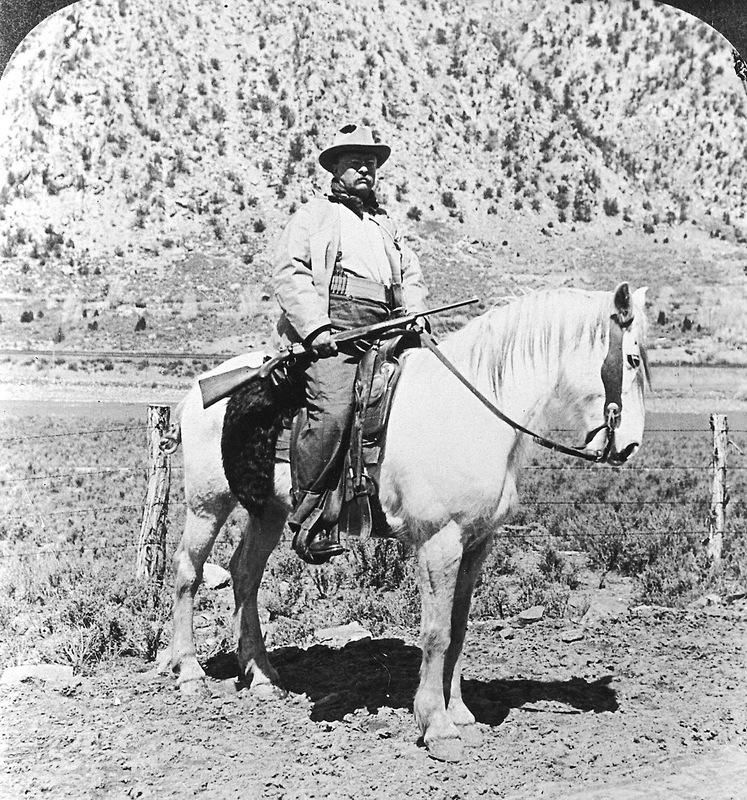 During those eighteen years between 1883 and 1901, he had: ranched in North Dakota, hunted throughout the Northwest, helped create a national club for the restoration of wildlife, wrote several books, served as the Undersecretary of the Navy, formed the Rough Riders, led their charge up San Juan Hill, been Governor of New York State, and briefly served as the Vice President of the USA. He was a busy guy. There is little doubt that the carnage of the buffalo slaughtered on the Northern Great Plains contributed to young Theodore’s wildlife conservation epiphany. During his brief career as a rancher his cattle grazed among the rotting buffalo carcasses that littered the Dakota badlands. His propensity to use every public speaking opportunity to teach the conservation gospel made his identity and the term Bully Pulpit synonymous. As our president, in his very first message to Congress, he used that Bully Pulpit to give them a lecture on conservation. As president, TR wrapped his conservation ethic around a wild land estate of 230 million acres with a focus on wildlife and forests. His wildlife protection included the National Bison Range at Moiese, Montana set aside in 1908. He also used the Bully Pulpit to tell the world who he was doing it for. He referred to you and me as “those generations still within the womb of time.” Well, we have emerged and enjoy a restored wildlife resource that several generations of hunters passed to our time. Now, we have a chance to make a contribution of our own. We have the opportunity to finish the pyramid of restored wildlife by adding the top layer – Buffalo. And the last best place to restore these bison is on the immense 1.1. million acre Charles M. Russell National Wildlife Refuge. The Montana Department of Fish, Wildlife and Parks (MDFWP) launched an environmental analysis that ended in June, of buffalo restoration and we all had the opportunity to participate. The Bully Pulpit encouraged the Bully Nation to send in their comments. The analysis is underway. This is just a first step of many in the restoration process but we here at the Pulpit are encouraged.